Esther has practiced yoga since 1999 and is continuing her studies on a regular basis. She is a psychologist (M.Sc.) and yoga teacher for adults and children and is also researching the effects of yoga on stress, sleep and wellbeing. In addition to regular yoga classes, Esther offers individual sessions, lectures on Yoga Nidra as well as workshops and retreats. Offers by email. Esther discovered the love for Yoga Nidra, the conscious sleep, on a trip to Australia, back in 2003. Here she lived over two months at Mangrove Mountain Ashram, met Swami Niranjanananda Saraswati and received her Mantra Initiation from him in 2004. He also inspired her deeply by his natural humorous being and wise words. She learned the background and effects of Yoga Nidra from 2011 onwards, during 1.5 years of training with Satyananda Yoga through Swami Prakashananda Saraswati and Barbara Kündig, as well as in her own almost daily practice. Since then, this special mindfulness meditation has been the heart of her Yoga style. It is not just about deep relaxation, but also about the orientation of one's own life to personal growth. In her work as a psychologist, she was able to demonstrate the positive effects of Yoga Nidra 2015-2016 in a large-scale study with a sample of 771 people. A follow-up study started in June 2018! 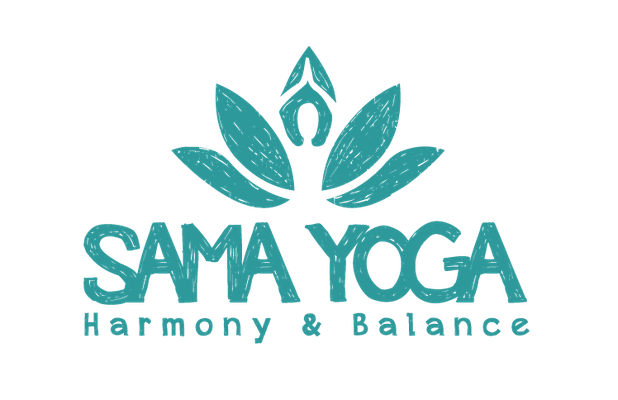 Sama Yoga has been the basic yogic education for Esther as a comprehensive life concept, which she happily received from Sky (Akasha) and his team during 9 months in Sweden and Bali. Here she learned the basic values of Vedanta, as well as precious knowledge in Mantra, Puja, Pranayama and Hatha Yoga. The respectful and loving way of dealing with all living beings, as well as the focus on harmony and balance, are the main pillars of Sama Yoga and also shaped Esther's understanding of a yogic life. Here she also learned what it means to teach intuitively, as well as to establish trust and satisfaction for a successful life. Sky's team was enriched by two wonderful women, Anna & Sanna, who contributed their knowledge about Yin Yoga, Vedanta and coaching. Other guest teachers added the topics of anatomy, alignment, kirtan and pregnancy yoga. Finally, in Bali, Esther was able to experience wise and humorous access to Vedanta and philosophy through Swami Vagishananda Saraswati. 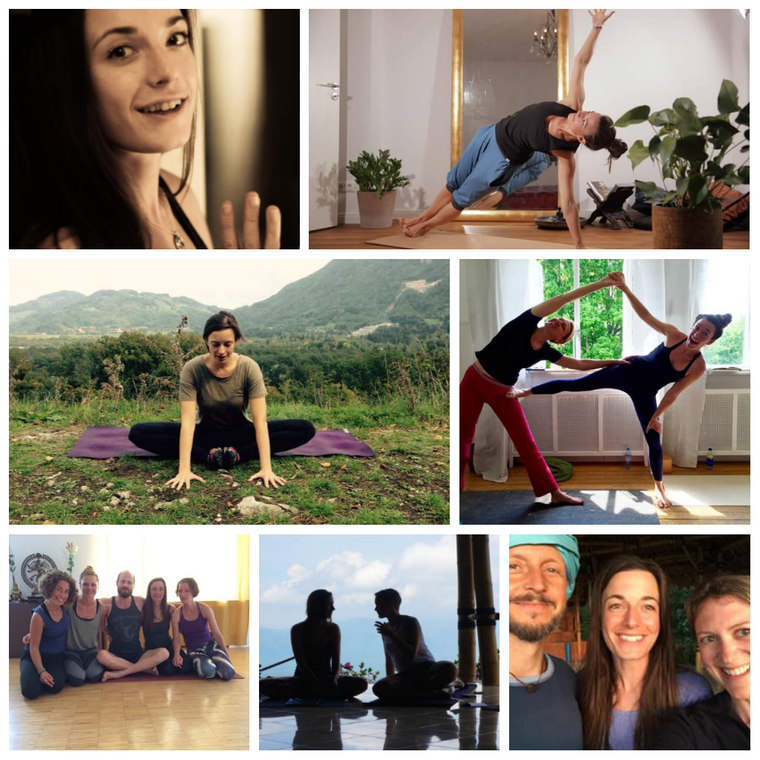 She is currently deepening her knowledge in Germany with Ashtanga Yoga Innovation and Dr. Ronald Steiner (Arjuna). Sama Yoga and AYInnovation focus on the individual. Both styles offer access to a holistic Yoga experience through personal modifications. In Ronald, Esther has also found a teacher who gives her a completely new, healing and innovative approach to the traditional Ashtanga Yoga system. Therapeutic trainings complement the teaching with valuable anatomical and application-oriented knowledge. In addition to the physical orientation and the meditative movement flow, Esther also explores further breathing techniques and philosophy. Esther is very grateful to have found two so wonderful teachers who accompany her on her way in yoga. Besides the focus on a lively tradition of Yoga, humor is an important element in Esther's classes. In her children's yoga classes Esther learns and teaches what is often difficult for adults. Thanks to the differentiated training with Susanne Eichinger, she learned techniques in Yoga for children from 3 years onwards (Kindergarten, primary school und youth groups). Other teachers who have accompanied and inspired Esther over the years are among others Dr. Patrick Broome, David Swenson, Manfred Gauper, Rod Stryker (Yogarupa), Regina Gambarte, Bärbel Miessner, as well as the wonderful participants of her classes.